Who is on your front line? After the holidays, I had 3 large cardboard boxes ready for my curbside recycling pickup. I was able to fit one in the can and the other two I sat carefully next to the can on the roadside (check out the photo with this blog). When the recycle truck came by, I watched in awe as the driver first crushed my can; had to get out of his truck to pick up the can and pull the box out of it; then hop back in his truck and drive off. He never even touched the other two boxes! Why, I thought, could he take a box out of the can, but not pick up the same size box from next to the can? Does it make sense to send another truck out to get the remaining boxes? What about the extra fuel consumption? How does this impact the environmental picture? My entire mood for the day was dampened by this frustration and I even began to wonder why I should go through the effort of recycling when the collection crew obviously did not care to take it. Earlier this week I had another experience, while boarding the city metro I was greeted by a cheerful smile and a driver asking how my day was going! This driver was amazing! A kind word to every passenger as they boarded; she made sure to know every stop each passenger needed; and even chased down another bus through several stops to make sure one of her passengers made their connection! The ride was so utterly enjoyable, that I began to search for additional routes that I may be able to take on future occasions. I began to calculate how much time and fuel I could possibly save by using the metro as opposed to driving; how much more productive my time could be; and the extra environmental impact I could make by doing so. As I stepped off the metro, I reflected on these two events and realized the immense impact that such simple gestures could have. One causing me to question my desire to recycle and the other igniting a desire to find creative ways to add more public transportation in my life. Each of these people impacted my life, my views and my actions without even knowing it. These people are the ones on the front line in every company, interacting with your customers and leaving a message with them. They are often not the highest paid, or even the most recognized – but in many ways, they may be the most important and they are the front line of your company. Giving them inspiration, or desperation; loyalty to you or to your competition; saying we want your business, you are a valued customer and we appreciate you. Or are they saying something different? This entry was posted in Recycling, Thought Provoking and tagged earth, earth friendly, employee interaction, go green, recycle, recycle container, recycling, recycling service on January 10, 2012 by Teresa Clark. As the sun set on November 15th, 2011 the nation paused to reflect upon our struggles and achievements with recycling. This annual event, “America Recycles Day” on November 15, comes at us every year as a chance to refocus our efforts with recycling and waste management. We have seen the percentage of plastics recycled when compared with the amount of plastics produced, continue to decline (less than 8% of all plastics produced today are recycled). With the concerns of global warming and effects of pollution, it is important to understand the impact we can have on our environment. At ENSO Plastics we encourage people to be mindful of what they can do to help, no matter how small or large. Recycling is just one of many ways in which we can help our environment and preserve nature. Join us in taking a moment to think about what each of us can do to help our Earth. Whether it is supporting alternate energy resources like solar power, choosing biodegradable plastics, creating less waste, or considering hybrid vehicles – remember that recycling is the least we can do to sustain our future. With each of us doing what we can, America Recycles Day in 2012 will be a chance for the world to unite in celebration of success! What did you do today to help? This entry was posted in Recycling and tagged America Recycles Day, biodegradable, bioplastics, earth friendly plastics, ENSO biodegradable and recyclable plastic, going green, PET, recycle, recycling on November 21, 2011 by ENSO Plastics. I recently had the pleasure of going back east to DC involving meetings on Capitol Hill where the discussion of biodegradable materials in the recycling stream was the main focus. After the representative from a recycling organization gave his presentation, I then gave mine. We were perceived to be in opposite corners, so we were asked to speak in the same meetings so as to address any clarifying questions that might have come up after our presentations. It dawned on me that this perception brought on by the recycling organizations (APR and NAPCOR) are in actuality NOT TRUE! ENSO and the recycling community are very much in alignment with the goal of saving our natural resources as long as possible. When ENSO embarked on the overwhelming mission to eliminate plastic pollution from our planet, we had recyclers and their processes as the #1 consideration-everything we came up with had to pass the scrutiny of the question, “does this material have any adverse effect on the recycling stream.” Many years and engineering feats later, we did it!!! We have had dozens of recyclers (or reprocessors) test and actually run the ENSO material through their process to see if there are any issues with the ENSO plastic. With no exception, 100% of them have indicated that they would never know it was an ENSO bottle if we have not told them. Scientifically, that has to be true because our mix does not even chemically bond with the plastic it is being mixed with. 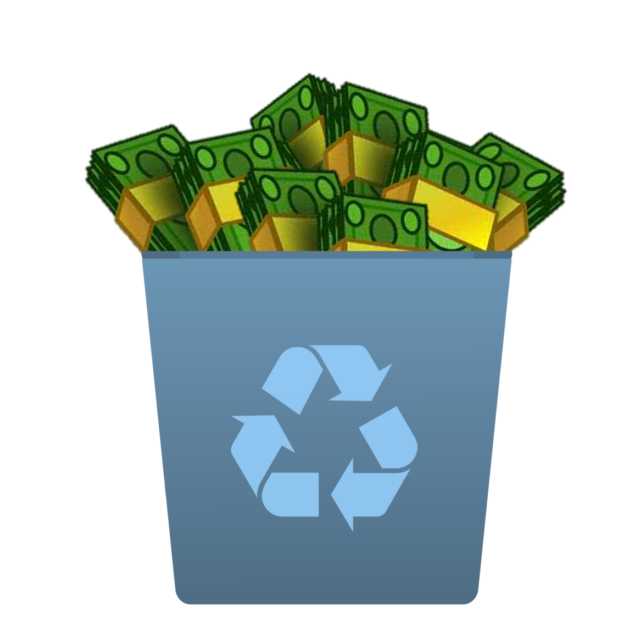 ENSO and the recycling community are very much in alignment, so much that we feel we are at stake with their success -the recyclers are in a tough market currently, as it seems they are being diminished on every turn. They are not allowed to participate in decisions regarding innovations to help the environment, but rather are left to deal with the new materials as they show up in their processing. Some of the reprocessors are worried about staying in business because of the issues arising from trying to sort out extremely incompatible materials like PLA (corn based plastic) from their PET bottle stream. They have indicated to us that they literally cheered because an environmental plastic was made that did not affect their bottom line by contaminating their recyclate material. Daily, companies using plastic are getting increased pressure to “stop polluting the environment”. For instance, almost daily I see news about plastic bags being banned around the world. And although the blame should not rest solely on manufacturing, something HAS to be done. We need to demand a new attitude towards the use of plastic. ENSO is a real and tangible solution to not only keep recycling intact, but also do much, much more. Globally, the human race is only recycling 5% of all plastics…think about that for a minute. Since when did you ever accept a 5% success rate as a viable solution under any circumstance? Could you imagine an oil spill clean-up effort saying, “Welp, we’ve cleaned up 5% of the spill, the rest well act as if there is no issue.” Yet it is happening right before our eyes when it comes to addressing the end of life issue of plastics. Why not make plastics biodegradable so when they are thrown into a landfill, they can contribute to the growing practice of creating clean energy from landfill natural gas? Renewable, green, clean, smart…intelligent -all describe this value proposition! Companies using it, and handling it will also add the description, “profitable” –but that’s their little secret. This entry was posted in Biodegradation, Environmental News, Latest Blogs, Latest News, Plastic news, Recycling, Thought Provoking and tagged debate, design, earth friendly, enso, ENSO biodegradable bottles, ENSO biodegradable plastic, enso bottle, enso brand, ENSO Plastics, Green, Green Solutions, greenwashing, how to go green, innovation, new solutions, PLA, PLA corn plastic, plastic bag ban, plastic bags become biodegradable, recycle, recycling, technology on June 24, 2011 by ENSO Plastics. Have you ever wondered what exactly happens to your garbage after you get rid of it? In Seattle this month a group of MIT researchers will be attaching electronic tracking tags on about 3,000 pieces of trash. They want to find out and get people thinking about what they throw away and where it ends up. This entry was posted in Latest Blogs and tagged ENSO Bottles, garbage, garbage tracking, MIT, plastic bottle recycling, recycle, senseable on September 21, 2009 by danny.clark. Learn how plastic gets recycled with this RecycleBank video. View the entire series here. This entry was posted in Featured Videos and tagged biodegradable bottles, plastic recycling, recycle, recycled, recycling plastic bottles on July 5, 2009 by danny.clark.